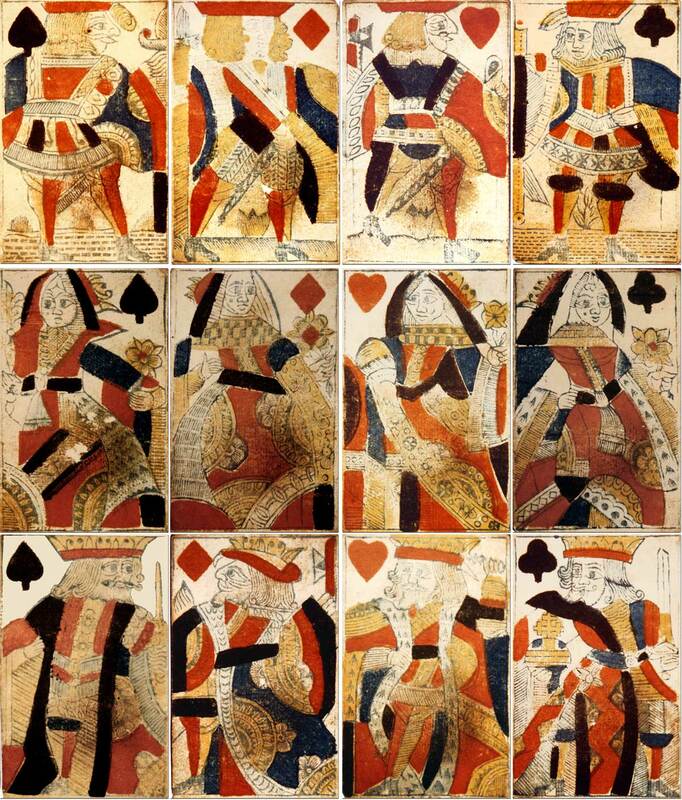 Above: playing cards by Hunt, c.1790. 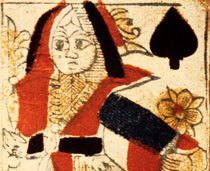 The Jacks have plants growing on the ground beneath their feet, and the King of Hearts is holding an axe behind his head, rather than a sword as in later examples. 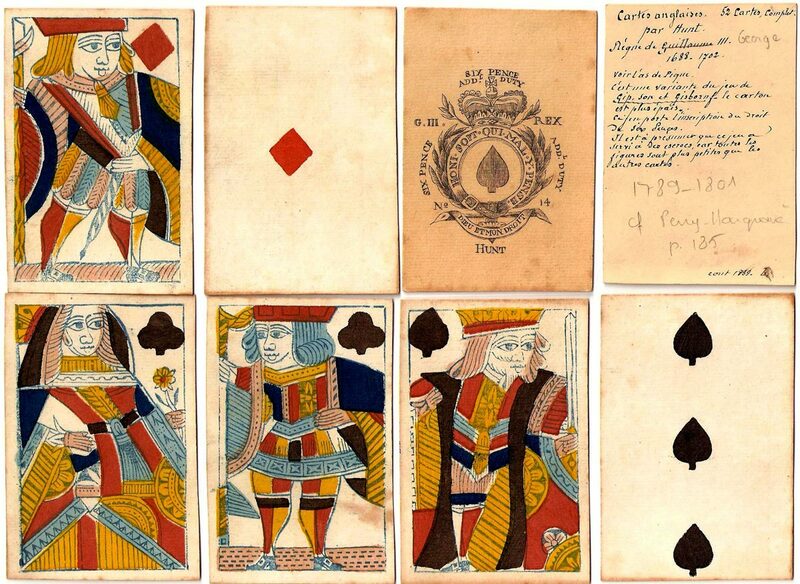 The soiling on the cards shows where the players' thumbs have been holding the cards.